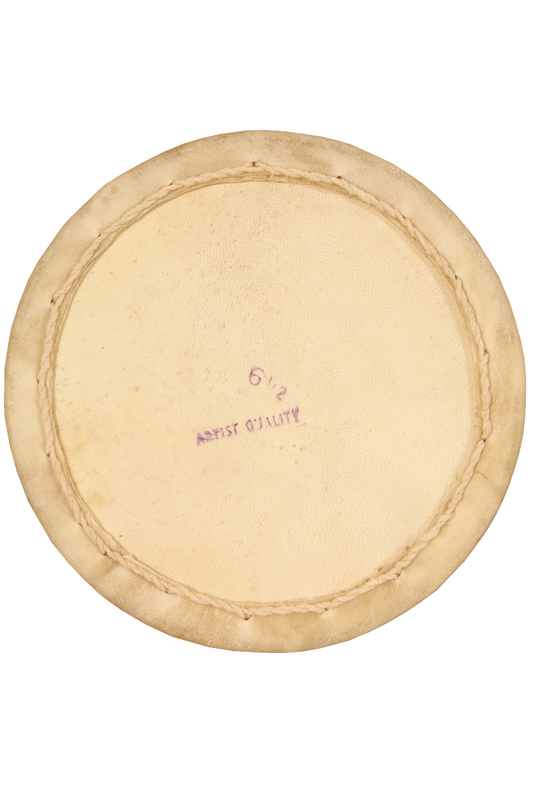 banjira 6.5 Inch Dholak Head Unloaded Goatskin DHNG065. Unloaded goatskin head for the Dholak. 6.5 inch diameter. I used this head on an old bolt tuned dholak. It was soaked for about 40 minutes and fit the 6.5" outside measured rim perfectly. Also the bamboo ring gave the bolt hook a place to rest and prevented the hook tip point from stressing the skin. I had this problem with dholak heads made with a metal ring sewn It sounds great and stays in tune fairly well in humidity. It was a bit confusing which way to mount the head but I made sure the hair side was facing out.